What is the first word that comes to your mind when we say triangle? Well, triangle to us would just mean shape. But this shape could also mean so many other things; it is also partially the logo of the famous band, Pink Floyd. 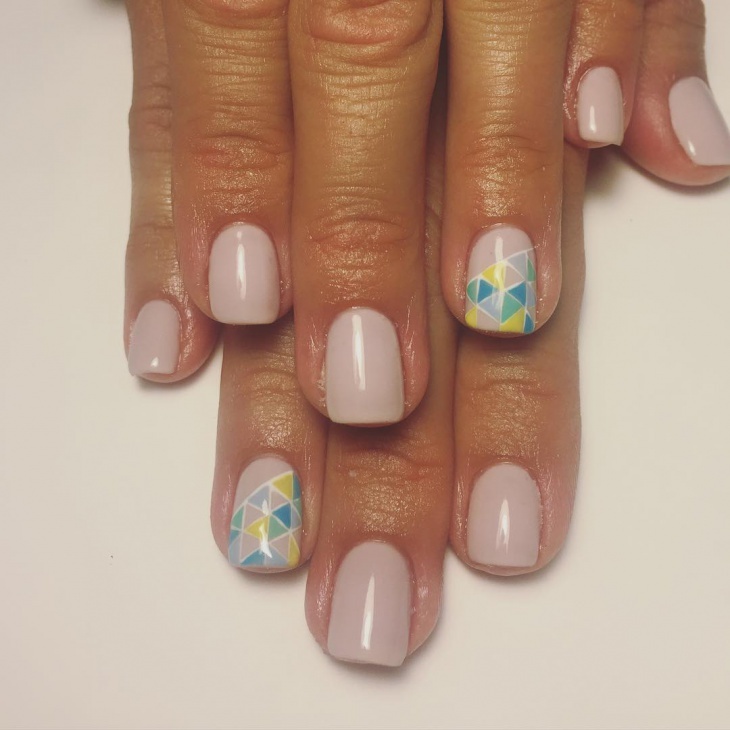 We went on social media to explore what more could a triangle be and we found these amazing nail paint designs with triangles. We loved it and thought you should check them out too. 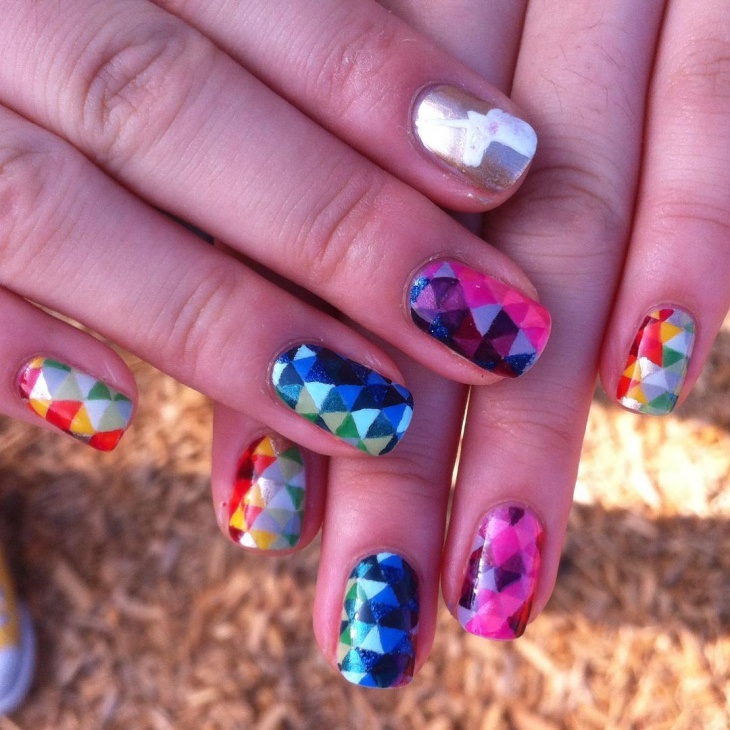 Well, whichever color you choose, if you team them with these triangle shapes, it is definitely going to look fabulous. In this image, the triangles are also shaped differently and it is planned out very well. Every triangle is designed according to the color and the contrast is just too good. Purple and white are definitely a good combination. The white might just look like normal lines to you but if you look closely they are triangles. That’s the best part about triangles; you can perceive them differently with each design. 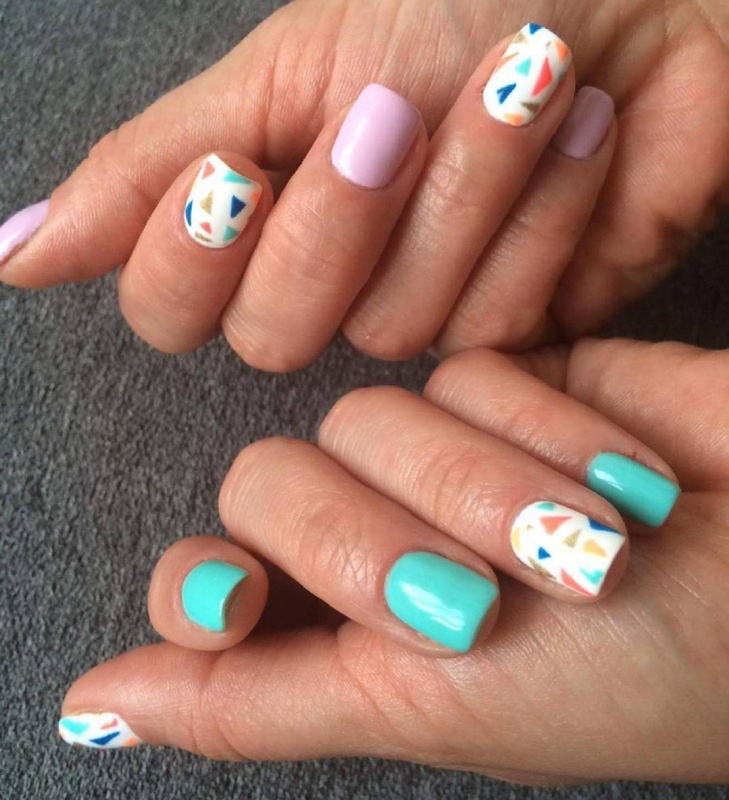 This toenail design looks simple and to the point. 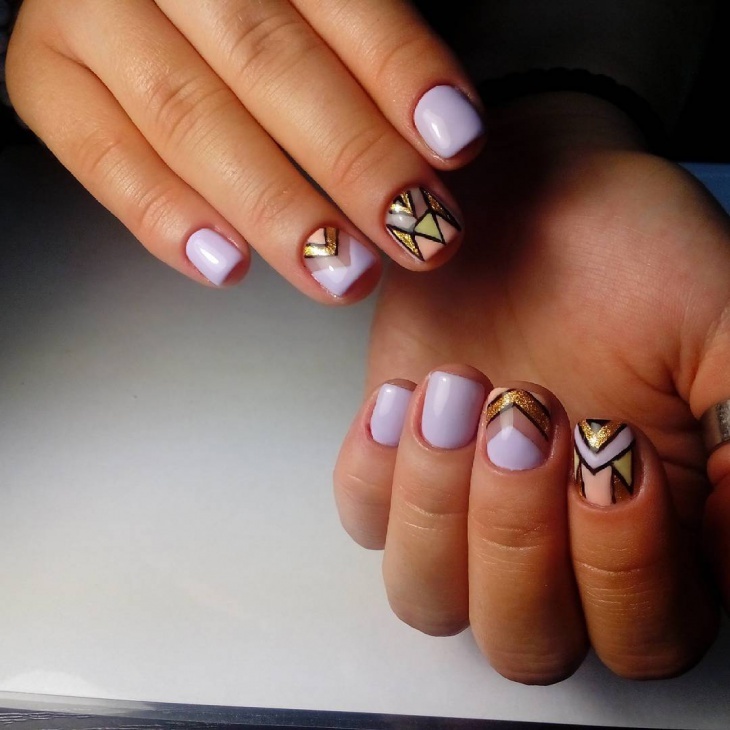 These can also be called as geometric nails and what better color to use for this than white and black. 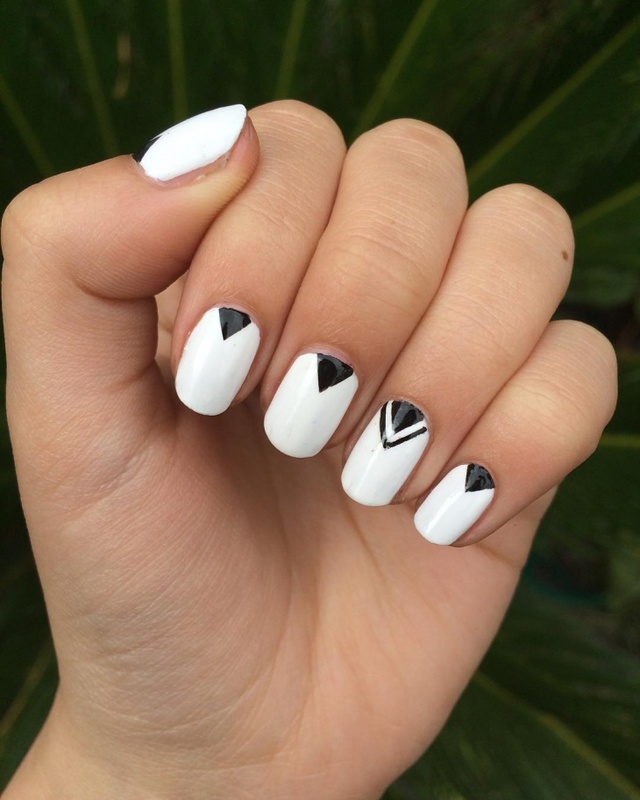 The white is put on so neatly and as for the black triangles, you might need a little patience but once you get them right, your nails are going to look chic and fashionable. Red is our all favorite color, it is bright but it look visually appealing and it grabs attention. 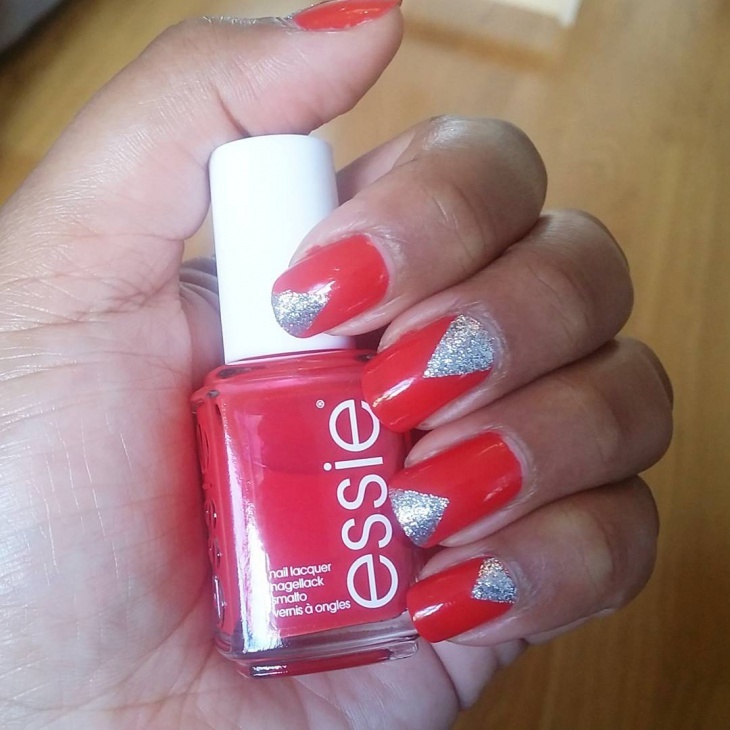 Red nail paint will always be in fashion and the silver glitter used as triangles makes it look even better and makes it stand out from the usual red. The glittered triangle breaks the monotony. We love the overall design. 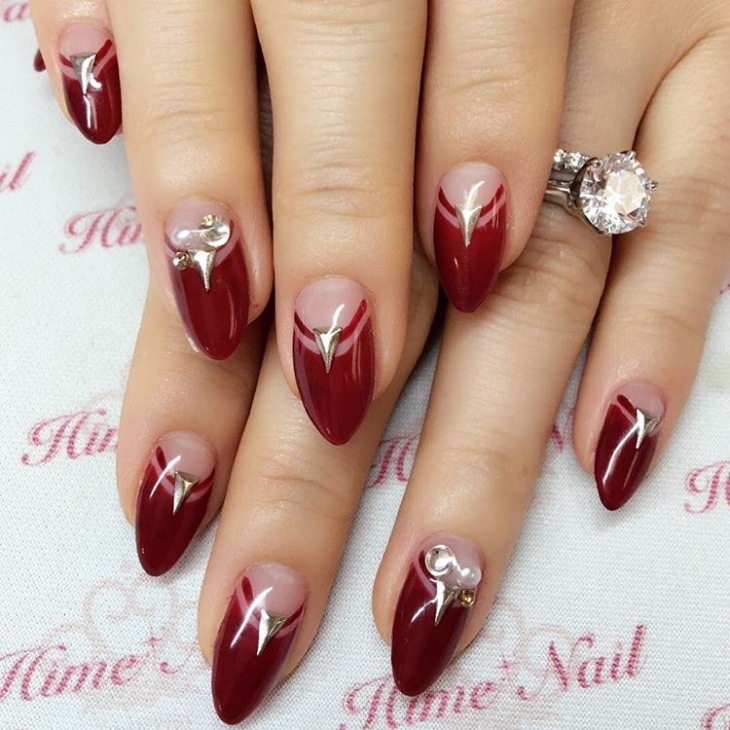 This design definitely is an elegant choice you will be making. 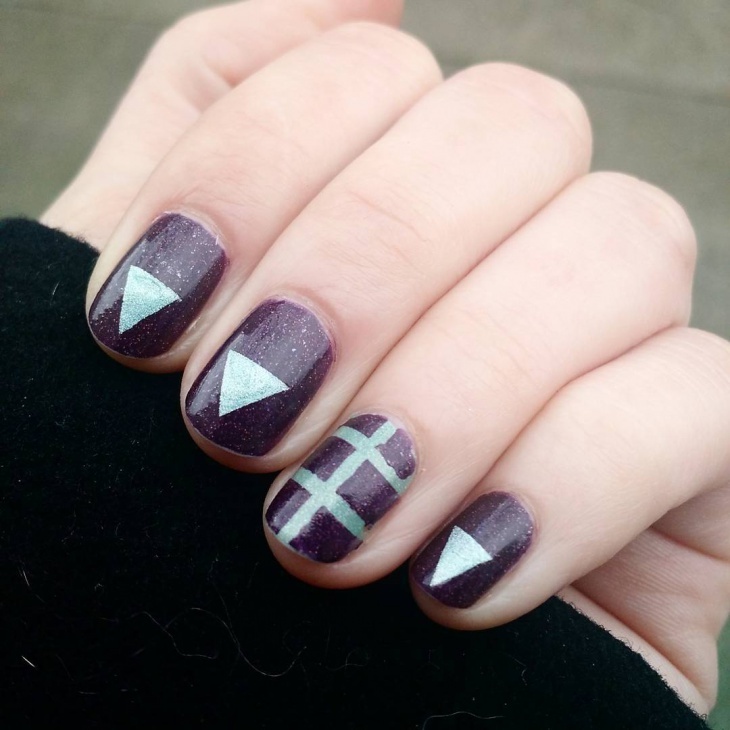 The purple looks so stylish and the long glittery triangle is a contrast to the purple. 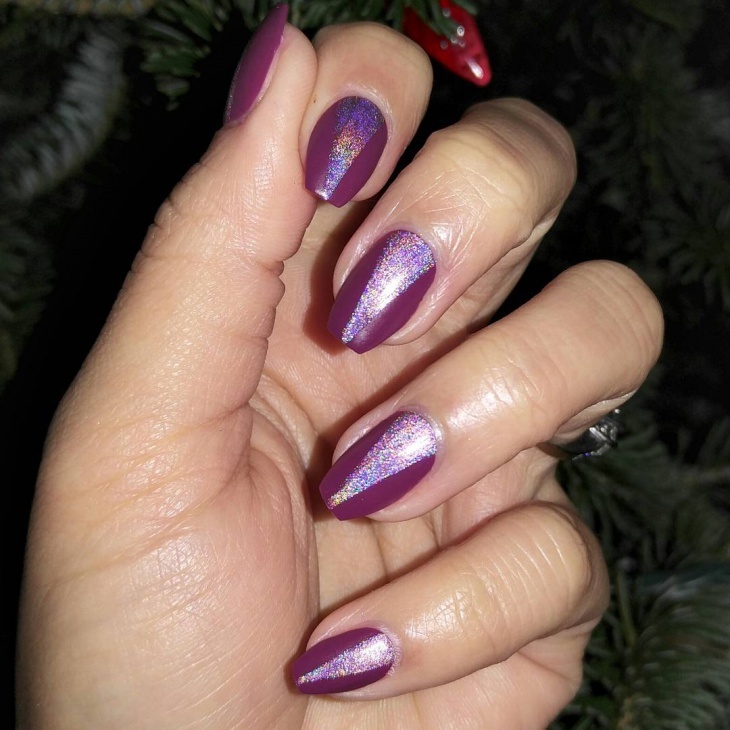 The glitter also has a tinge of purple to it and that makes it look very trendy. 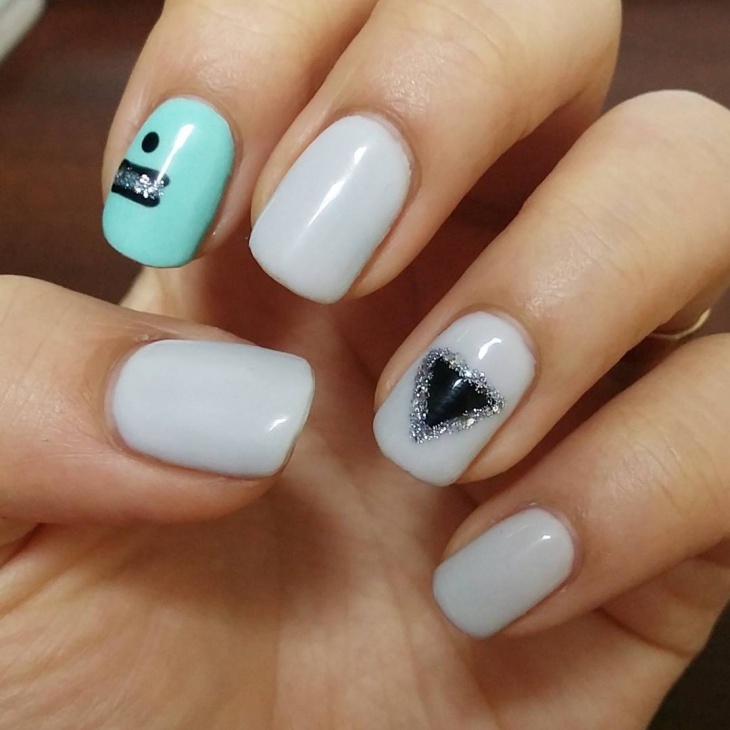 This design is very elegant; the glitter paint used will make your nails stand out. 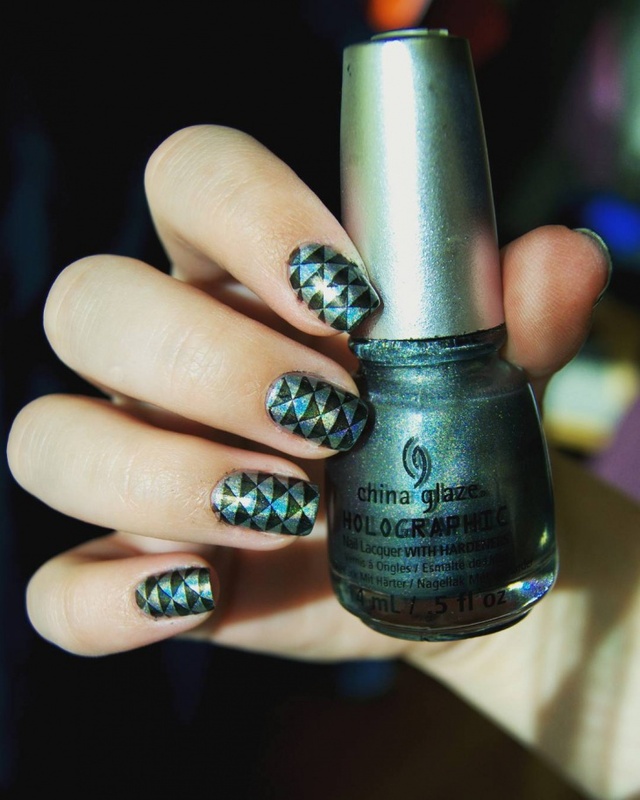 The triangles in black are the perfect combination with the glitter and they look perfect. The design is so chic and visually stands out. You will grab a lot of attention with this design. 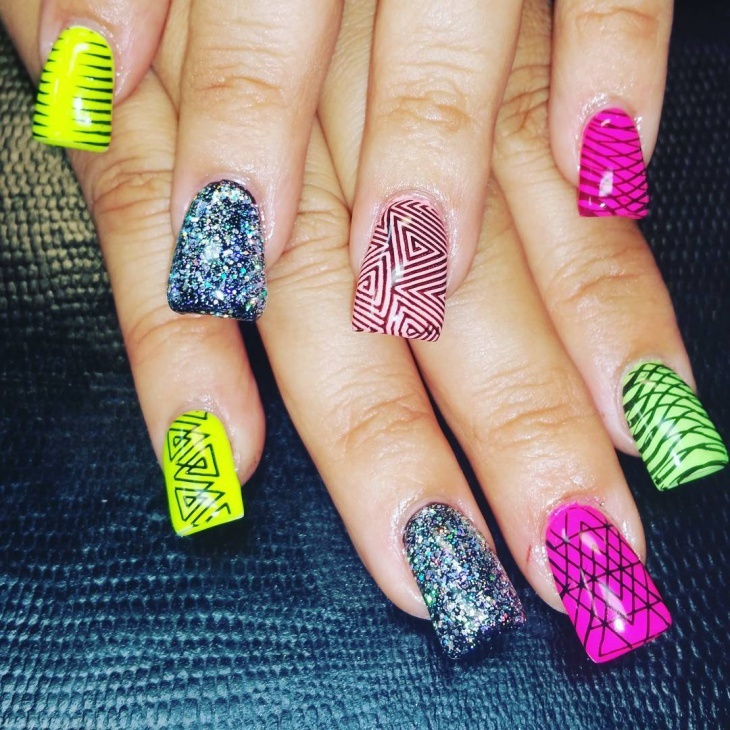 If you have short nails and perplexed about what to do with them, this design should pretty much solve your problem. 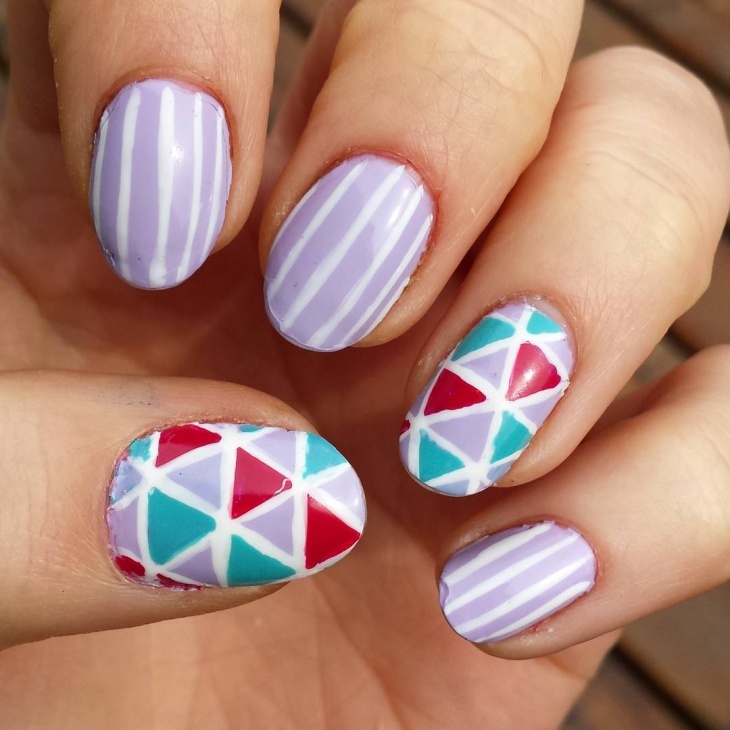 The combination is great and the triangles are designed differently and make them look good. This is such a subtle yet amazing nail shade. 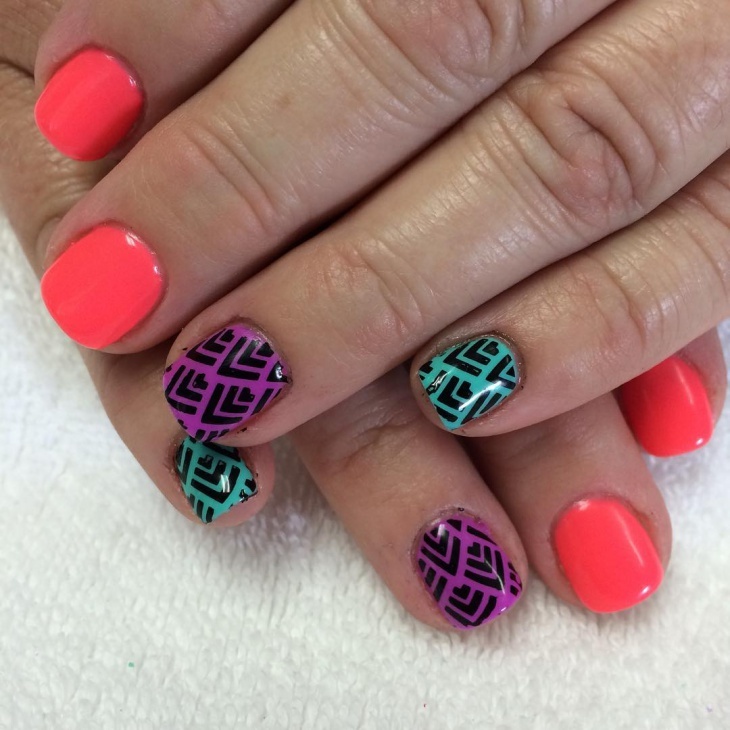 It is light and helps bring out the natural color of your nails. 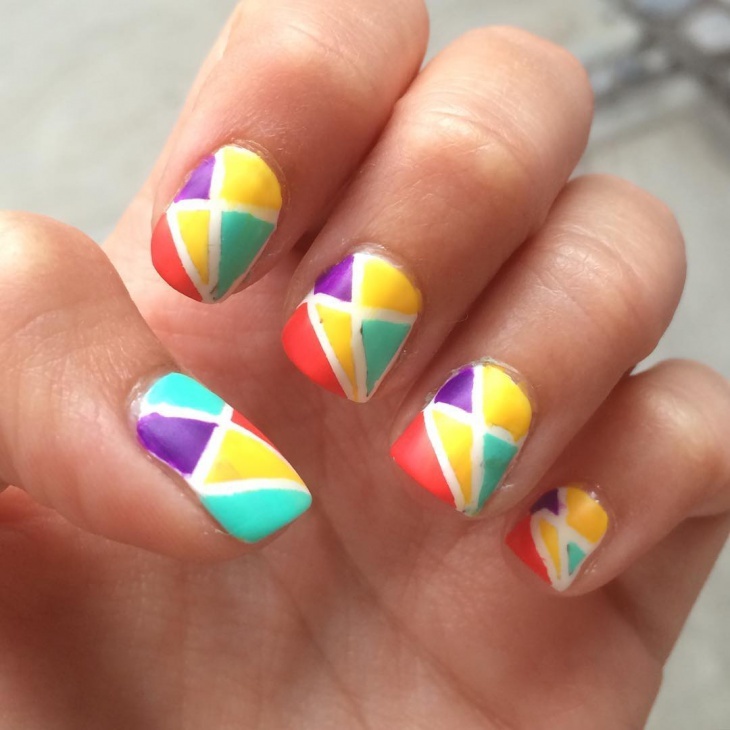 The multi colored triangles used on the nails is also a perfect contrast and makes your nails stand out elegantly. Aztec was a tribal group back in the century. 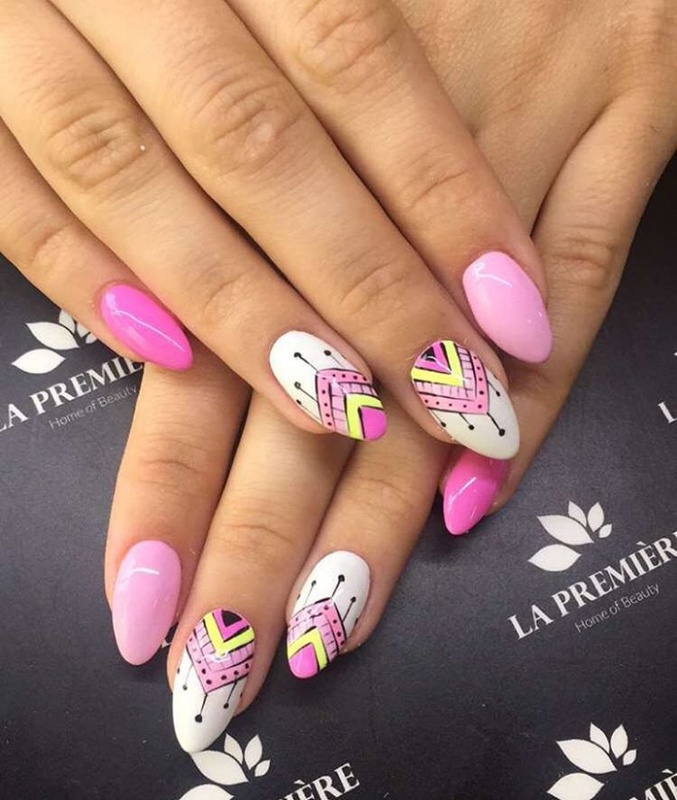 These Aztec nail designs with the pink and white combination make it look distinctive and is a unique art design which has been executed very nicely. 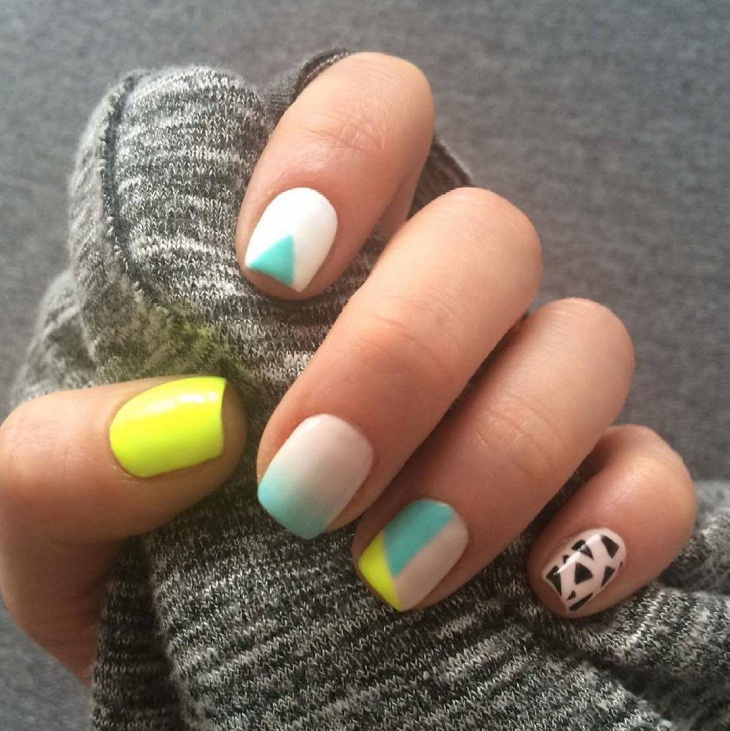 This might look like a bright color but it will look wonderful on your pretty feet. 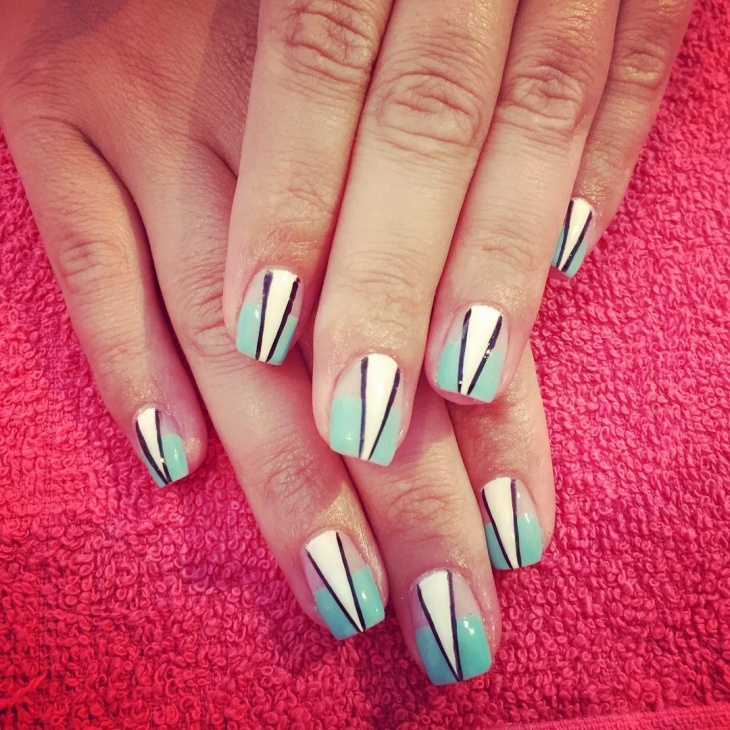 If you think the blue is too much then just get the white triangle like on these and you can make it look divergent and it will give out a phenomenal look and feel. 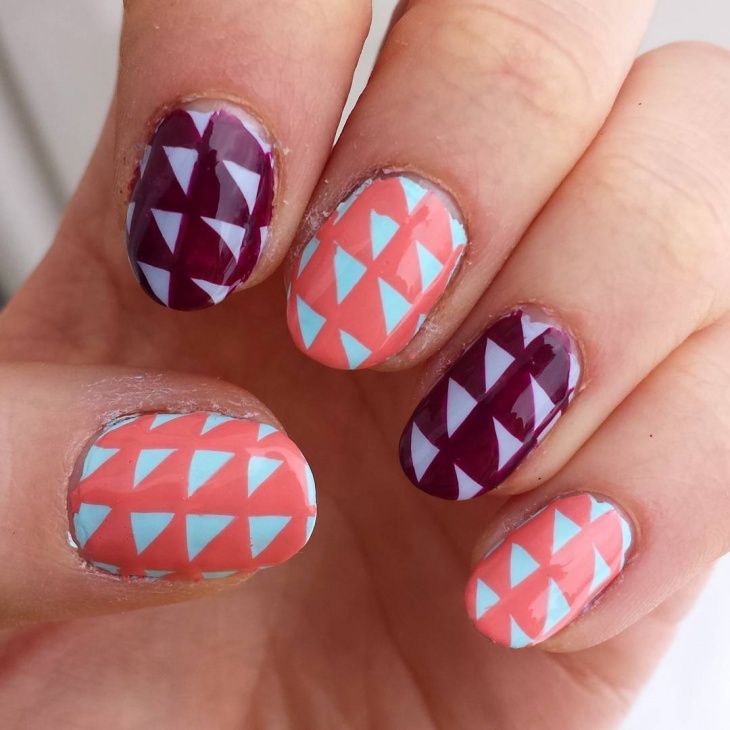 These are some amazing triangle shaped nail art designs which we think you should try.